1. Lotus of Siam. Excellent, authentic, and seriously spicy–thai cuisine. Try the spicy prawns or the sea bass in any of the three sauces–I had the ginger sauce with mushrooms on Saturday night and it was divine. For folks who love spicy (me! ), beware. The scale at Lotus is the real deal. If you ask for 10, you might need a tableside fire extinguisher. 2. Kaizon Fusion Roll. Asia fusion with interesting (and gigantic) sushi roll combinations in a low-key, hip bar atmosphere. Just across street from Hard Rock Hotel but not nearly as pricey as their famous sushi place. 3. Sen of Japan gets rave reviews and is more authentic Japanese, for purists. 4. Pamplemousse Locals go here for special occasion, reasonably authentic French fare. Haven’t tried it myself, so give me your feedback. 5. Lindo Michoacan A local Mexican 3-restaurant chain well regarded, including by my local friend whose wife hails from Mexico. 6. Echo and Rig Pick out your cut of steak, then have it grilled up at the restaurant next door. Talk about “on-demand” dining! 7. Piero’s A Las Vegas institution and close to the Convention Center where we’re all living for this conference. Dinner only. 8. Tamba Indian A family owned place with plenty of tables for big groups. 9. The only Vegas eatery on the strip that makes my list is Beijing Noodle No.9 at Caesar’s. Try the soup dumplings (they’re not IN the soup, the soup is IN the dumplings!) and a bowl of Lanzhou noodle soup. 10. Walgreens. No I’m not kidding you. The food truck lines at the Convention Center can be long, and I speak at multiple sessions with little turnaround time. So grabbing a yogurt or a freshly made sandwich in the morning at Walgreens (there are three on the strip) rather than waiting in line at lunchtime is my go-to solution. And that saves more eating fun and funds for dinnertime. There is one exception–the Indian carry out in South Hall, which is excellent. The only bummer is they have no seating. I hope to see you soon at NABShow in Vegas! Amy DeLouise is a writer-producer-author-speaker and foodie who operates out of Washington, DC but travels the world. This week I’ll be headed out to Las Vegas with 100,000 of my best friends in media, TV and video production for the biggest conference and technology showcase of the year, NAB Show. Many of us who are not on expense-account budgets will need to find good spots for dining, so here are my favorite places to eat well without breaking the piggy bank. If you have other suggestions, please let me know! Also, if you are headed to NAB, please check out my workshops during Post|Production World and don’t forget to stop by the always exciting #GalsNGear main event on Tuesday morning–a networking coffee thanks to Adobe and Blackmagic Design followed by a dynamic session with cutting-edge gals in UAV, AI, 360, VR, and post and more than $10,000 in gear and software giveaways. An event not to be missed! 10. Walgreens. No I’m not kidding you. The food trucks at the Convention Center are long, and I speak at multiple sessions with little turnaround time. So I will often grab a yogurt or a decent sandwich in the morning at Walgreens (there are three on the strip) rather than wait in line at lunchtime. And that saves more eating fun for dinnertime. Alright, you’ve got my picks. I hope to see you soon at NABShow in Vegas! In just a few days I’ll be at NABShow, the Superbowl of my industry. Or as I like to call it, 110,000 of my best friends in content production. If you want to catch up with me there, here are my 7 (yes, seven) sessions and 2 panels during Post|Production World. Plus, I’ll be hosting an amazing group of women in UAV, VR, 3D, VFX, Editing and more during a multi-camera, livestreamed show called #GALSNGEAR on Tuesday, April 25th. Come for the coffee and donuts at 8:30, stay for the show at 9AM! Here are a few things I’ve learned in my years at NABShow. See you in Vegas! Have a Shoe Strategy – Bring several pairs, and plan to swap out at least once per 15-hour day! While this is especially true for women, it applies to men too. A few years ago I shared a cab with an attendee who confessed he only had brought one pair of shoes. Big mistake. You will walk many miles a day across the 1 Million square feet of show floor (! ), not to mention the miles of sidewalk on the strip. Have a Transportation Strategy – The monorail is great if your hotel is right on it. If not, there’s actually a decent Express bus that runs up the strip and over to the Convention Center. You can buy a multi-day pass for much less than the monorail. Thank goodness Uber has come to Las Vegas, which cuts down the cost of other rides. And of course once the show is in full swing, there are free buses that go to most convention hotels. If you’re in a hurry, however, these can take quite a while. Bring Business Cards – I’m always amazed at how many people don’t bring them, or don’t bring enough. It’s a show with more than 100,000 people! You can’t remember everyone to tag them on LinkedIn when you get home, so share cards. A strong visual and a simple declaration of what you do is important. I hate getting back with cards to scan that feature only a name. If you’re not Oprah or Cher, include details! Have a Daytime Food Strategy – Lines at the convention center food trucks and stations can be long. On days when I’m presenting, I bring a sandwich and a yogurt from the Walgreen’s on the strip (there are three). This will save you time and frustration on peak days of the show. 4. Have an Evening Food Strategy – Are you sensing a theme here? Since I’m feeding myself on my own dime during NABShow, I try to skip the overpriced strip restaurants for many meals. These are some of my all time favorites as well as places I still want to explore. Let me know if you want to grab a bite! Lotus of Siam. Excellent, authentic, and seriously spicy Northern Thai cuisine. Try the spicy prawns or the sea bass in any of the three sauces–I’ve had the ginger sauce with mushrooms and it was divine. Kaizon Fusion Roll. Asia fusion with interesting (and gigantic) sushi roll combinations in a low-key, hip bar atmosphere. Just across street from Hard Rock Casino, but not nearly as pricey as their famous sushi spot. Tamba Indian I plan to give this place a try this year based on a recommendation of an Indian friend. Lindo Michoacan. A local Mexican 3-restaurant chain well regarded, including by my local friend whose wife hails from Mexico. Sen of Japan gets rave reviews and is more authentic Japanese, for purists. Pamplemousse. Locals go here for special occasion, reasonably authentic French fare. Pricing more on par with the strip restaurants, but reviews are rave. Echo and Rig Pick out your cut of steak, then have it grilled up at the restaurant next door. Talk about “on-demand” dining! Piero’s. A Las Vegas institution and close to the Convention Center where we’re all living for this conference. Dinner only. The only Vegas eatery on the strip that makes my list is Beijing Noodle No.9 at Caesar’s. Try the Soup Dumplings–the soup is actually IN the dumplings, not the other way around!–and a bowl of Lanzhou noodle soup. Amy DeLouise is a director-producer specializing in nonfiction, short form videos for large live events. When she’s not in production, Amy is also a frequent speaker and workshop leader. She has courses on #LinkedInLearning and will be presenting at #NABShow. If you’ve been following the #GalsNGear hashtag on Twitter, then you know I’ve been working behind the scenes with many colleages–women and men across production and post–to put the focus on women in the technical fields of our industry during NABShow this year. On our program, we’ll be featuring 14 top pro’s talking about VR, UAV, VFX, CC, 3D, and more. Plus we’ll be giving away thousa nds of dollars worth of cool stuff! We want to be sure these professionals get the limelight they deserve, and inspire the next generation of women working behind the lens in our industry. NABShow in Las Vegas is an incredible annual smorgasboard in our sprawling industry of content creators and distributors in TV, video, cable, OTT, satellite and more. Or as I like to call it, 100,000 of my best friends in media. Special thanks to NAB and Women in Film & Video, and our partners Broadcast Beat Magazine, sponsors Black Magic Design, Snell Advanced Media, and Vitec, as well as supporting partners Adobe, iZotope, Zacuto, Ott House Audio, Rampant Design, Sundance Media Group, and Radiant Images. If you’re coming to NAB, then we’ll see you at the show! (8:30AM is free coffee/donuts and networking, the show goes live at 9AM). If not, join us live online at 9AM. Broadcast Beat, our streaming partners, will be carrying us to more than 2M viewers in 180 countries! Details here. Every April, 103,000 of my colleagues in media and I descend on Las Vegas for the National Association of Broadcasters Convention. Here are some of the out of the way eateries I’ve discovered over the years. Please add more! See you in Vegas! 1. Lotus o f Siam. Excellent, authentic, and seriously spicy–Thai cuisine. Try the spicy prawns or the sea bass in any of the three sauces–I’ve had the ginger sauce with mushrooms and it was divine. 2. Kaizon Fusion Roll. Asia fusion with interesting (and gigantic) sushi roll combinations in a low-key, hip bar atmosphere. Just across street from Hard Rock Casino, but not nearly as pricey as their famous sushi spot. 3. Lindo Michoacan. A local Mexican 3-restaurant chain well regarded, including by my local friend whose wife hails from Mexico. 4. Sen of Japan gets rave reviews and is more authentic Japanese, for purists. 5. Pamplemousse. Locals go here for special occasion, reasonably authentic French fare. Haven’t tried it myself, so give me your feedback. 7. Piero’s. A Las Vegas institution and close to the Convention Center where we’re all living for this conference. Dinner only. 8. The only Vegas eatery on the strip that makes my list is Beijing Noodle No.9 at Caesar’s. Try the Soup Dumplings–the soup is actually IN the dumplings, not the other way around!–and a bowl of Lanzhou noodle soup. Amy DeLouise is a writer/producer/author speaking all week at NABShow–the National Association of Broadcasters convention–in Las Vegas. Her Post/Production World classes are listed here http://bit.ly/ADatNAB16. Please stop by! Where’s Amy DeLouise at #NABShow16 ? I love speaking at NAB Show! After a business breakfast, I’ll be off to get my credentials, to see how our #GalsNGear event buttons turned out (12,000 of them at registration desks!) and be sure our T-shirts got delivered to the store. Yes, guys are invited, too. See details under Tuesday below. Then for the afternoon I’m speaking at Post|Production World on Knocking it Out of the Park as a #SetPA an In-Depth Session on Essential Business Skills for the Freelancer. Then it’s off to an annual get-together convened by the ever-amazing editor Nicole Haddock. I’ve got an early launch to speak at 8:30AM on Stress-Free Productions: Managing Clients and Executive Producers. Then I’ve got a little gap, so if you want to grab coffee or an early lunch (love the little Indian place in South Hall) that would be great! Then it’s off to speak all afternoon at PPW: Career Transitions for Creatives, So You Want to Produce. Then it’s off to some private parties and one of my favorite Vegas shows, Jersey Boys. This day is gonna be fun but tiring. I’ll be speaking with @Adryenn and @RodHarlan in an All-Day Social Media Symposium ! Then it’s off to moderate a panel on a subject that’s important to me Creating Inclusive Work Environments with Douglas Spotted Eagle, Gayle Hurd of the National Association of Black Journalists, Sarah Serrano of Veterans in Film and Television. Then it’s off to Media Motion Ball! This is gonna be quite a day. I hope you can join me in the morning for some coffee and donuts provided by Black Magic Design at the first #GalsNGear pop-up event, livestreamed by Broadcast Beat. Then I’m off to speak at PPW again: Budgeting Basics for Video, Putting Real People on Camera — a topic so dear to my heart I wrote a book about it! I’ll head over to the NAB Bookstore for a book-signing (please stop by! invite friends!) for The Producer’s Playbook: Real People on Camera. Folks in my classes will get special DISCOUNT passes during NAB Show! Then I’ll head back to North Hall to moderate a panel on Breaking Into the Industry with Christine Steele, Katrina Deleon of Production HUB, Ashley Kennedy of Lynda, Paul Murphy and DP Joseph DiBlasi. Boy will that be an interesting conversation! If I haven’t lost my voice yet, then I’ll see you over at Supermeet or maybe the Killer Tracks party. My day starts with being a guest on NAB Show Live! with host Janet West tackling gender balance and #womeninfilm with some terrific colleagues I’m looking forward to meeting. Then, hmmm, should I head over to the show floor or take some chill time at the pool? Perhaps a bit of both. I’ll catch up with some Lynda.com friends and colleagues Wednesday for cocktails, then I’ll be headed to dinner. (Any great ideas? I do promise to repost my off-strip Vegas restaurant favs blog post, but always looking for more out of the mainstream rec’s.) I don’t head out until late morning Thursday, so it could be a late night! I look forward to connecting with you in Las Vegas or at another content event this year! 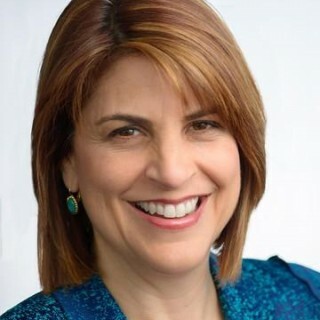 Amy DeLouise is a Director/Producer/Author and Speaker at NAB Show among other industry events. Her new book The Producer’s Playbook: Real People on Camera is out tjhis week from Focal Press. https://www.amydelouise.com/wp-content/uploads/2017/05/delouise-logo-340x192.png 0 0 Amy DeLouise Producer/Director/Author https://www.amydelouise.com/wp-content/uploads/2017/05/delouise-logo-340x192.png Amy DeLouise Producer/Director/Author2016-04-11 13:03:552016-04-11 13:03:55Where's Amy DeLouise at #NABShow16 ? It happens more often than we’d all like to admit that inexperienced speakers are selected to deliver important information directly to the camera. Whether they are the head of a department, the leader of an initiative, an enthusiastic volunteer, or the child of the executive producer, this person might not be all that comfortable with a teleprompter, or might not work with cameras and crews every day the way professionals do. That doesn’t mean you can’t direct a confident delivery. But your approach will need to differ from how you’d work with an actor or an experienced on-camera speaker. I Need to Direct My Boss on Camera, Now What?! One strategy for encouraging a natural delivery from your speaker is to do a quick Q&A with them off-camera first. I often stand farther away than is truly necessary, and lean forward. This is to encourage a slightly louder speaking voice from the talent. It forces us both to connect on purpose, not simply by default. It’s surprising how often this Q&A approach works quite nicely, and feels natural. Another strategy is to suggest in advance of your shoot day that the “host” practices a bit by recording themselves with their phone. Even though I have spoken before rooms with hundreds of people, before I taped my first Lynda.com course, I did the same thing. Speaking to a lens is vastly different than talking to people who react in real time. The first thing that struck me about my pre-recording was I didn’t smile enough. Even thinking about smiling helps the delivery seem more natural and congenial. Most folks aren’t aware of how much skill goes into reading from a teleprompter. Some people also do better with bullet points, rather than full copy. If you intend to use a prompter, you will need to add 30 minutes to your recording time for several rehearsals, to let the person get used to reading the words naturally. Most people trip up on one major issue: that the prompter follows them, not the other way around. They will get progressively slower as they read, waiting for the prompter to “catch up” when the prompter is actually following their speed. You’ll also need to add some big gaps to force people to slow down their read. This blog post is excerpted from my new book The Producer’s Playbook: Real People on Camera (Focal Press/Routledge). Purchase the book here Buy Real People on Camera. Or if you are coming to #NAB16 please stop by my Post|Production World session on getting the best with real people on camera – info Amy at NABShow on Real People. https://www.amydelouise.com/wp-content/uploads/2017/05/delouise-logo-340x192.png 0 0 Amy DeLouise Producer/Director/Author https://www.amydelouise.com/wp-content/uploads/2017/05/delouise-logo-340x192.png Amy DeLouise Producer/Director/Author2016-04-04 10:45:362016-04-04 10:45:36Video: Direct-to-Camera with "Real People"